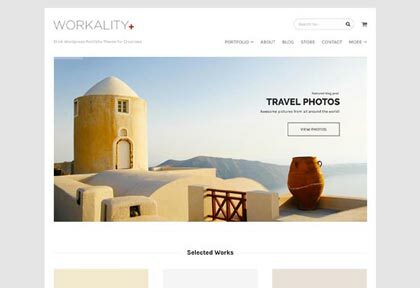 Workality's fashionable slick design features meet powerful Northeme Framework options. 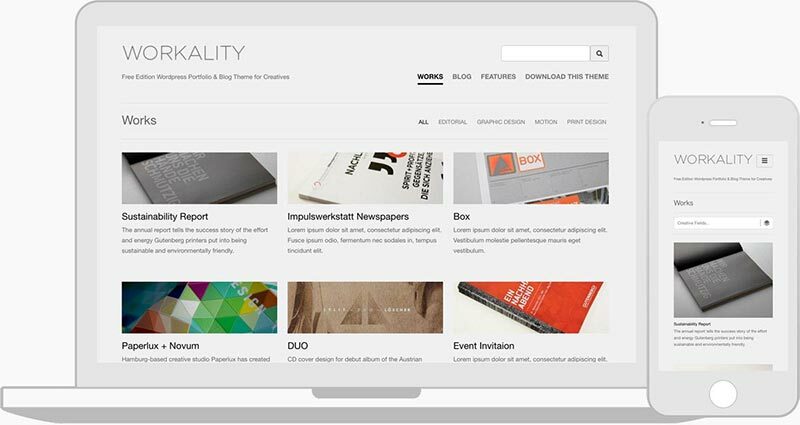 It's a perfect fit for your needs with portfolio, blog and custom post types features. Join Theme Club and access all themes & new themes with premium support. Click here to find out more. Full support for the most customizable e-Commerce platform for building your online store. 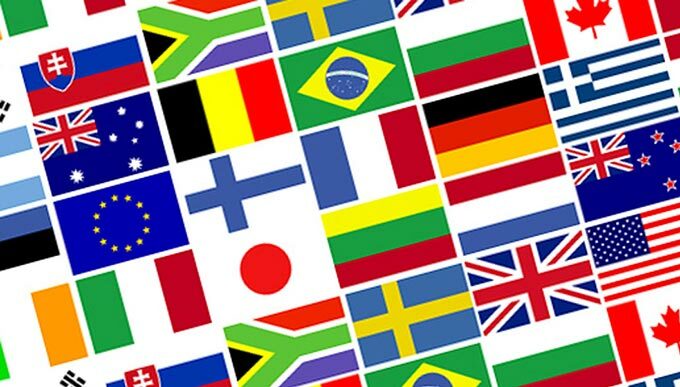 Our themes fully support WPML, the most complete multilingual / translation plugin for WordPress! Try All Themes Risk-Free for 30 Days! Example modifications made with theme options. Select Light, Gray or Dark skin preset for a quick start or create your own color scheme with Custom option. 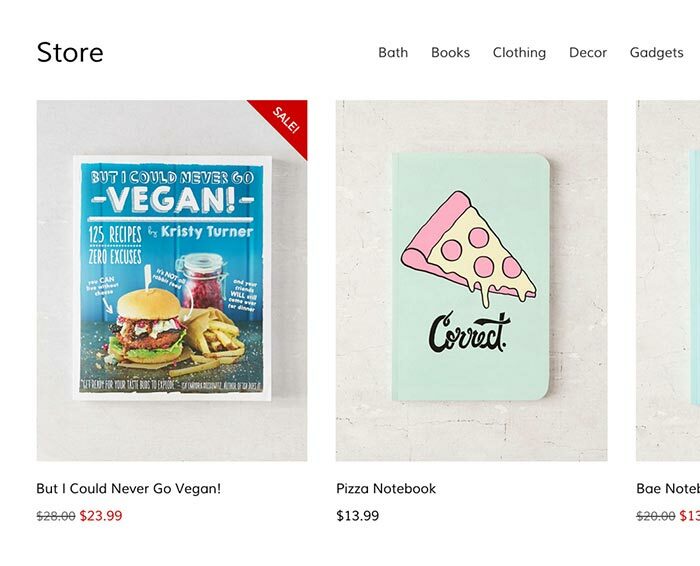 Custom layouts are interchangeable between all post types including Blog and WooCommerce. Our themes are fully compatible with new WordPress’ editor, Gutenberg. We’re consistently releasing theme updates to maintain the best compatibility with all WordPress features. 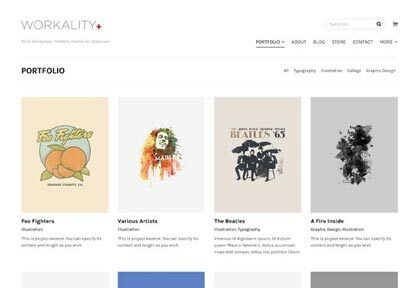 SAVE $45 – WPBakery Page Builder comes as a bundle plugin with tons of elements yet we also offer Northeme exclusive VC elements including Portfolio / Blog Grid, Gallery Grid, Sliders, HTML5 Video Embed, Services, Clients and Contact Form. 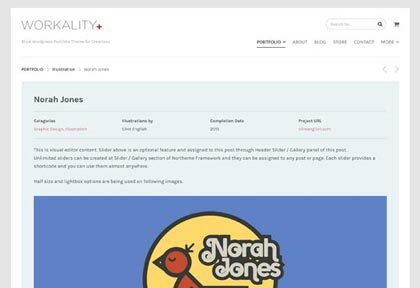 Also Northeme exclusive page templates such as About, CV, Team Members, Clients, Contact, FAQ and Services help you to build website content easily! 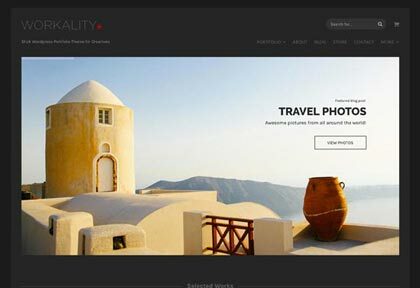 ** WP Bakery Page Builder is only available with Premiums Series themes. SAVE $25 – The best selling multi-purpose WordPress slider plugin is included! Slider Revolution makes possible to build content for wide range of purposes.Create remarkable sliders in no time whether it’s a Hero Scene, Carousel, Slider or Gallery and make it fancier with effects and animations. ** Slider Revolution is only available with Premiums Series themes. 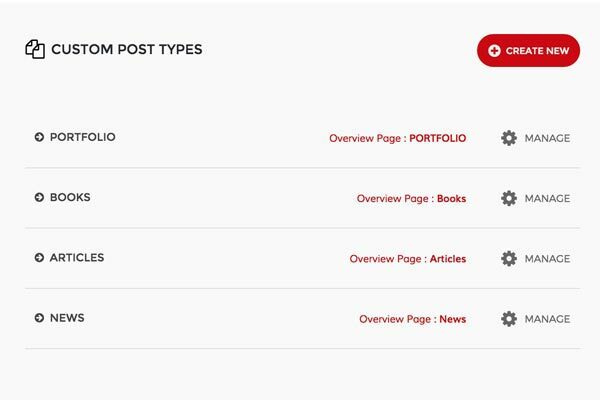 Post and category reordering feature allows to re-order portfolio posts and blog + portfolio categories. It’s possible to order by date (ascending and descending), title and custom ordering. Reframe Plus comes with WooCommerce support. 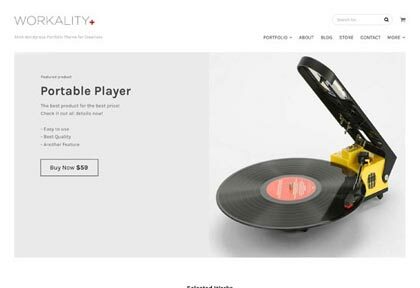 We make sure that all WooCommerce pages look beautiful and match Reframe Plus’ slick interface. * Woocommerce Plugin support is optional. Woocommerce related scripts will not be included to your theme unless it’s activated. Each theme comes with slider manager to build unlimited sliders. Sliders can be included into pages or posts via shortcodes. 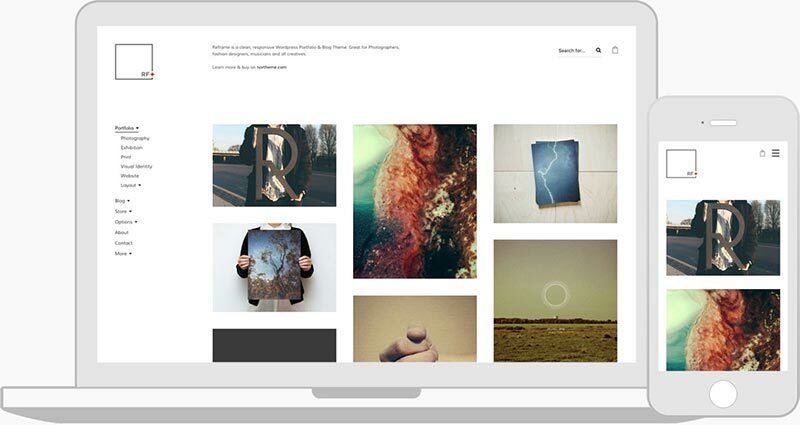 Slick and beautiful lightbox plugin Lightgallery is included your theme! Open all images and videos in lightbox big and beautifully and enjoy zoom, mousedrag and full screen features. Videos can be embedded via 3rd party website URLs such as Youtube, Vimeo or WP video shortcodes. Unlimited font choices! 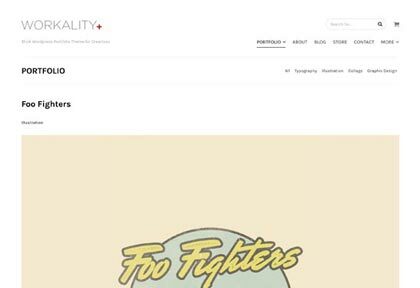 600+ Google Fonts, HTML fonts, Typekit & other 3rd party font providers integration. Furthermore upload and use the font files you have with @fontface! 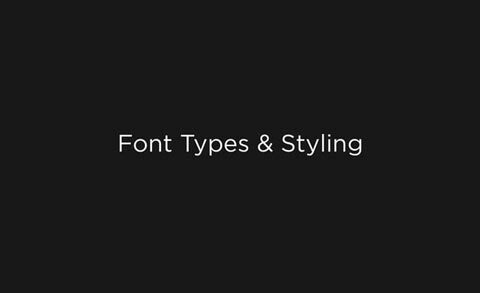 Font types can be assigned to body, headers. Maintenance mode offers a simple maintenance page that allows you to upload your logo and define a message. Activate built-in maintenance mode during the theme setup or whenever you need. It’s ready to translate! Theme language files (.po, .mo) are provided and your website can easily get translated into any language. If you want to have a multi-language website, your theme is ready to use the most popular multi-language plugin WPML. 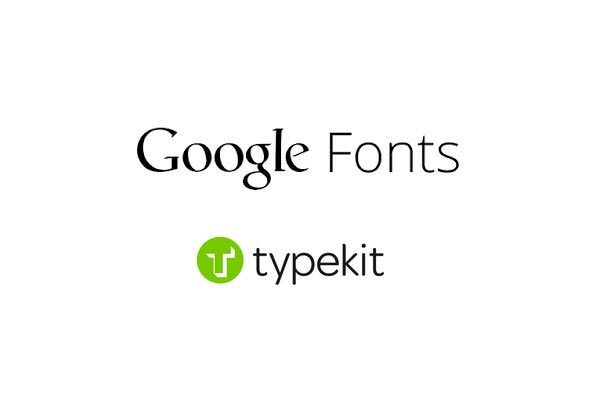 600+ Google Fonts, HTML fonts, Typekit & 3rd party cloud font integration. Built-in lightweight SEO Manager for pages, posts and categories. It can be disabled and WordPress SEO or other 3rd party SEO plugins used instead. 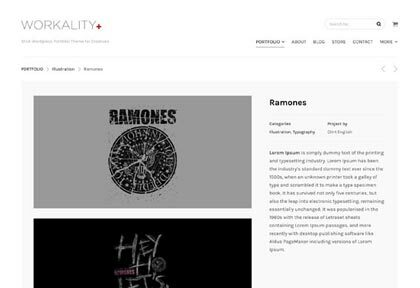 Custom Post Type Manager : Create your own post types similar to portfolio. Each post type name and slugs can be adjustable and has their own taxonomy / category structure. Up to 10 post types allowed. Social icons with full Font Awesome options. Built-in retina display support. Grid thumbnails for retina displays automatically created according to your preferences as 1.5x, 2x or 1x (disabled). Ajax-like smooth content loading effect without plugin incompatibilities. And dozens more modification options! 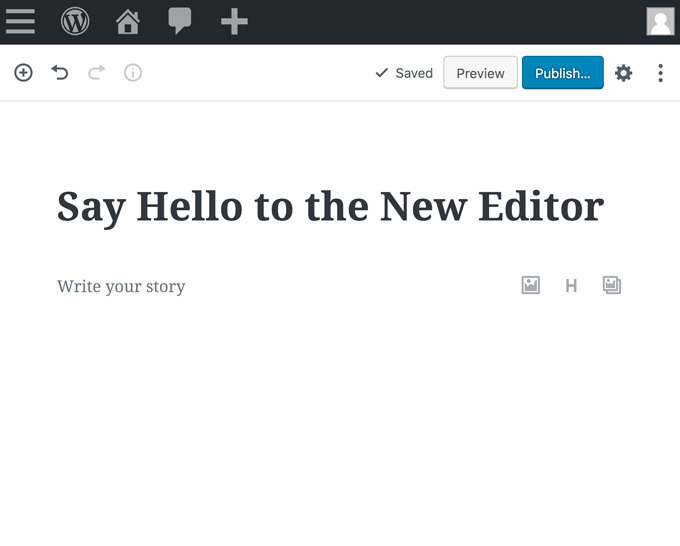 Activate Gutenberg option added to activate new WordPress editor for custom post types. This option can be found at Northeme > Portfolio (or any post type) > Activate Gutenberg. Post grid update for mobile view. Post grid will be displayed in two columns (instead of single column) regardless the grid column preferences. This behavior can be disabled at Northeme > Layout > "Post grid to single column on mobile" option. Built-in Contact Form shortcode fix for Subject field. It's now included into e-mail subject and body. NEW FEATURE : Built-in slider options can be set individually (Transition type, Transition Speed, Slideshow Speed, Auto Play). Theme’s built-in sliders can be managed under “Sliders” menu. “Alt” field has been added for images in Composition panel of portfolio posts. HTML field added to Visual Composer’s “Services“ element. Plain text or HTML field can be used for Services. Paragraph content italic text fix. New Tag Results page added to separate tag results from search page. URL disable option for posts by adding pound sign (#) to External URL field. Styling improvements for blog posts. Post info line (category, comments, author and date) visibility improved by minor styling changes. New Feature : Masonry grid option added to single custom post Composition panel and it’s merged with Gallery option select box. 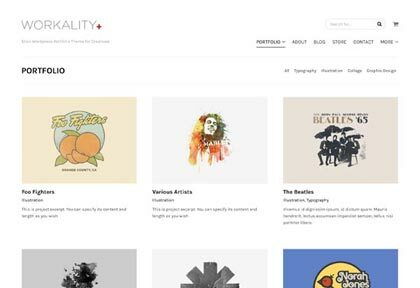 Grid layout templates created with masonry can be used for displaying Composition elements through grid layout. — Re-ordering update for post categories and posts. Categories can be re-ordered at Portfolio (Any Post Type) > Re-order section individually for each language. 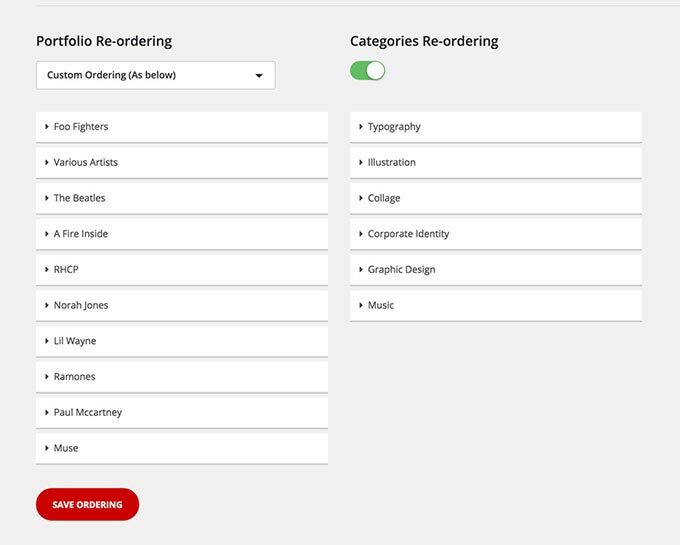 Re-order categories after updating your theme. Category page pagination type (Northeme > Portfolio > Pagination Type) fixed to display proper pagination type according to the post type settings. 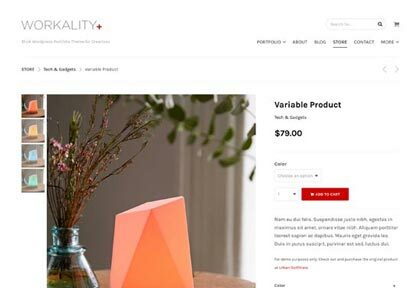 WooCommerce select quantity select box turned into number input (default) due to plugin incompatibilites. Northeme > Layout > Website Layout > “Disable Auto-Generated Thumbnails” option added. Activate if you’re using Amazon S3 or cloud for WP media library and having trouble performance issues with page loading. Otherwise, leave it deactivated. Northeme > POST TYPE > “Disable Category Filter“ added to hide categories on posts listing page (blog, portfolio, shop etc.) individually. (NEW) “Center Row“ option added to each item in Composition. Can be used with smaller column types to align center. Load More button (pagination type, Northeme > POST TYPE > Pagination) improvements and fixes. Spinning icon added on load. Category filter improved for sub categories. Available sub categories will appear in a dropdown menu on hover. QuickStart guide simplified and setup wizard has been removed. Instead Product Registration, installation and activation of recommended and required plugins, live demo install section provided. Additionally Theme Requirements page added you to make sure that your hosting meets the theme requirements. 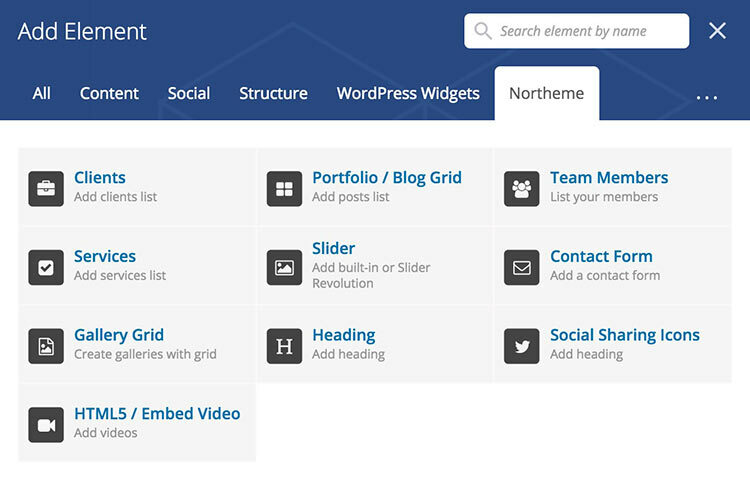 Theme options panel design changed in order to incorporate theme options with WP Dashboard. Folded sections removed and all sections listed on the menu for better accessibility. Custom Post Types section removed. Instead each post type settings can be changed on Northeme > POST TYPE NAME (E.g. Portfolio). Create New Post Type menu added right below post types. Grid post info below thumbnail with BG option added along with Overlay, Below Thumbnail options at Northeme > POST TYPE. 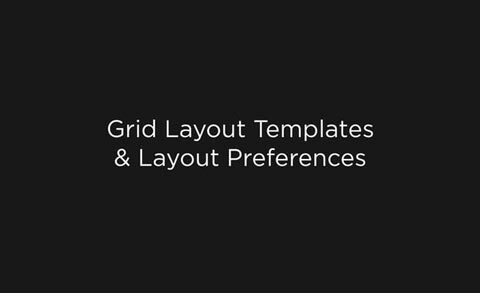 Grid layout presets added : Small, Medium, Large, Portrait, Square, Masonry. These are default templates that comes with fresh theme installation and can be modified. Northeme > Website Layout > Responsive Layout options added to hide related posts and footer widgets on mobile. Northeme > Website Layout > Footer Widgets : Disable option added. Northeme > POST TYPE > Disable Comments and Disable Sharing options provided to disable these items for specific post type. Basic Advanced mode removed from theme options panel (all options are visible by default). Navigation Arrows BG Color option added to Northeme > Built-in Sliders in order to increase the visibility of built-in slider navigation arrows. 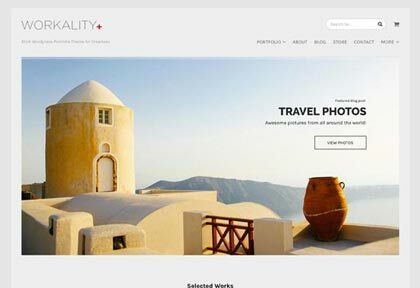 Retina display image quality option moved to Northeme > Website Layout section. Social icons set to have specific width in order to maintain consistency. Theme switch and get involved sections removed from theme options. Recommended / required plugin installation section added. It can be accessed at Appearance > Install Plugins. BG Size option added to Northeme > Skins & Colors menu to set BG image as cover. For Legacy Theme users : data converting tool automated for seamless integration and doesn’t require any action. Built-in Sliders feature has been removed from theme options panel and moved under Sliders menu on WP dashboard for better performance. Documentation removed from theme framework. It can be accessed over northeme.com by single click from theme options. Thumbnail re-generation has been automated. Grid layout templates created at Northeme > Grid Layout Templates will not cause creating unnecessary thumbnails. 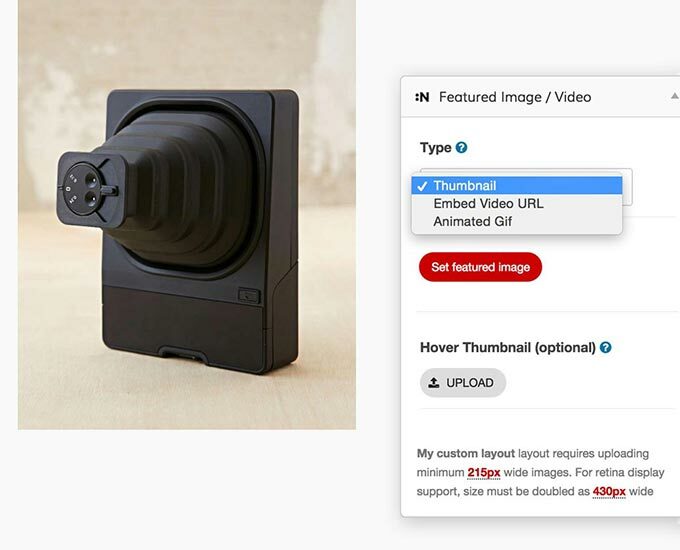 Thumbnails will be automatically created on-fly when a grid layout is being used. Masonry replaced with Isotope script for animated category filter. All single post images automatically get resized in order to serve optimized images. Custom Post Types section removed and Add New Post Type section added instead. Each post type slug can be managed under corresponding post type’s menu at Northeme. Draggable popups for skins & layout spacing removed due to performance issues. Visual editors disabled for captions and turn into standard text due to performance issues. Regenerate Thumbnails function removed from theme framework. Several unnecessary scripts removed from back-end and all back-end optimized to boost performance. Page Settings panel added to pages and posts. Page Settings panel offers variety of options to make changes on pages individually : Custom logo and custom logo URL, Custom BG image, Disable Footer Widgets, Remove Title / Header, Hero Slider settings. Single column blog listing page displays featured image for Standard blog format if it’s set. Sidebar option added to Blog page template at Pages. Sidebar can be set as display on listing page, single post page or both. Composition Panel : Global Padding options added to adjust the gap between elements. You may also use No Padding. Composition Panel : Global Lightbox switch added to activate lightbox for all images. Composition Panel : Half with option replaced with Column option for elements. Now you can set an element as single column, half column, 1/3, 2/3 or 1/4 wide to create custom grids. Post Settings tab will appear in Page Settings panel. Hide Items allows to remove specific elements such Title, Categories, social sharing buttons etc. Also Layout Type option allows to override global settings of theme options panel and use single or two column layout for a specific post. Ajax navigation has been removed due to performance and incompatibility issues with plugins. Instead loading bar, smooth navigation options added to Northeme > Website Layout. Also category navigation on post listing page is being done on-fly, without loading new scripts / pages if post limit set as Unlimited. Since Visual Composer incorporated into the themes, some page templates have become deprecated : Home Template, About / Contact Template, Gallery Template, Full Width Template. Admin panel font reverted to default, Open Sans, due to non-latin character issues. Home template bottom visual editor fix. Google Analytics for ajax navigation. Page views being pushed to Google Analytics even ajax navigation activated. Theme Options panel fix for Firefox. Custom Fields update for Single Custom Post Type Posts. New fields can be added and fields can be reordered. Excerpt fix for password protected pages. Full excerpt is being displayed for password protected posts and “protected:” removed from title on posts list. CPT Composition text field fix for shortcodes. Loading Bar options added and can be found at Northeme > Appearance > Website Layout > Loading Bar. It can be set to display bar only, bar + spinner or disabled. New Feature : Auto Setup. QuickStart Guide process rearranged and improved. Auto Setup option added in order to setup the theme with default settings. New Option : Northeme > Website Layout > Show only main categories. If activated, only main categories will be listed in category list on post overview page. Basic & Advanced modes added back to theme framework. Advanced sections rearranged to make easier to use theme options. New feature : Order by post title option added to POST TYPE > Re-order. Posts can be re-ordered by date, title or custom ordering. “Display as gallery“ option removed for single custom post Composition panel. Instead, new option list added : default, gallery w/ lightbox, gallery w/o lightbox, slider w/lightbox, slider w/o lightbox. Maintenance “IP list” option to override maintenance screen for specific IPs. Single Row option for custom fields at Northeme > Appearance > Posts & Grid Layout > POST TYPE. NEW : Video.js video player implemented and replaced with default WP video shortcodes due to browser & ajax compatibilities. Gallery captions moved to beneath images (between current slide and thumbnails) instead of overlay. 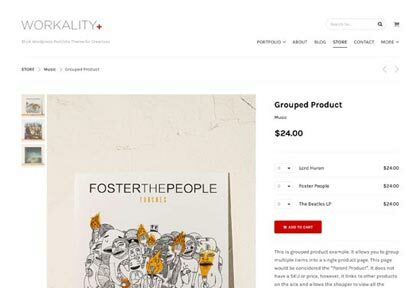 Category ordering fix for Category listing page. Composition multiple image upload ordering fix. Custom post type tag page fix. Slider / Gallery and Composition (CPT) image caption fields replaced with content editor in order to make easier to add URLs and adjust styling. IMPORTANT : This update may affect line breaks of current captions since content editor adds line breaks automatically. Please check your captions if you used multiple rows. Column shortcodes : column alignment improvements. Position option removed for easier use. 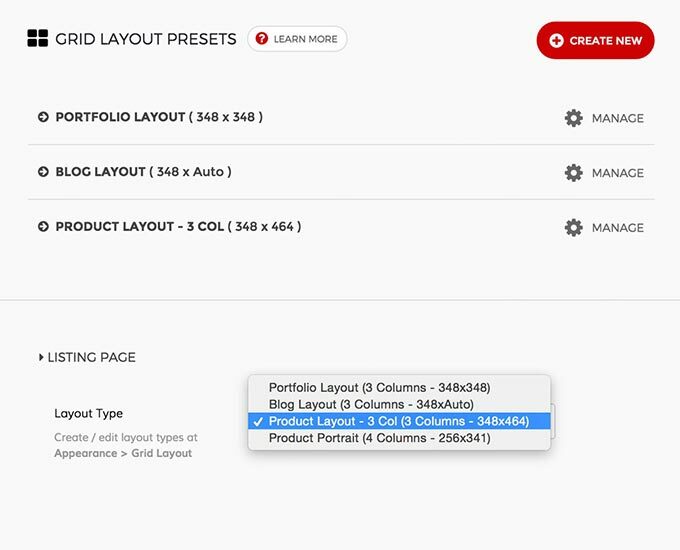 Blog gallery format fix for grid layout. Gallery format posts will display thumbnail instead of gallery on grid layout (fixed due to size inconsistencies). Appearance, Sliders, Help menus added to dashboard Northeme menu for quick access to help and sliders. Northeme > Theme menu renamed as Northeme > Update. Disable lightbox option added to Slider / Gallery manager. By default lightbox is activated on sliders. Activate this option to disable lightbox for a slider. Slider caption / alt tag fixes for lightbox. Important : This is a major update. If you use WordPress caching plugins, you may need to invalidate its cache after updating in order to update styling files. You can access this changelog from My Account page on northeme.com whenever you want. New Feature : Grid Layout “Slide Outside” option for floating description on hover. Option will show up if grid layout description set to Overlay at Northeme > Appearance > Posts > Post Type > Thumbnail tab. Homepage template, Homepage Sections field updated for making it easier (optional and required fields separated). Lightbox Disable Image Navigation options added to Northeme > Settings > Built-in Plugins. Shows only one image without navigation if activated. 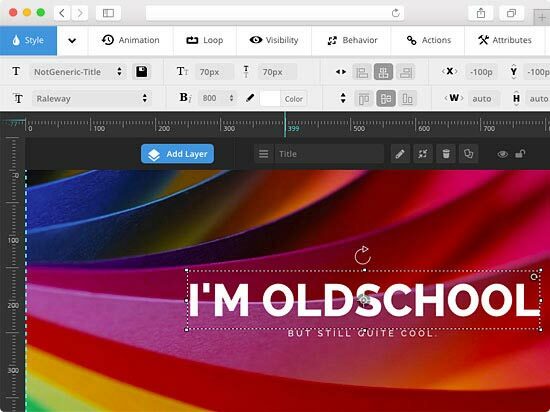 Lightbox fixes for image captions. Sticky / floating menu positioning fixes. IMPORTANT : After updating your theme, go to Northeme > Appearance > Layout > Grid Layout, change your Retina Display settings and click on Regenerate Thumbnails button to re-generate proper thumbnail sizes. SVG format support along with animated GIF for post featured image / thumbnails. Custom Post Type posts listing page fix. If you have already created custom posts, Navigate Northeme on dashboard and simply click on save changes after updating. Breadcrumbs “current” indicator visibility fixed for mobile. Now it’s visible on all viewports. Tagline visibility fixed for mobile. Now it’s visible on all viewports. Cart page update. Item remove cross moved to last column of the table. Great theme and best support! This is a very flexible and clean theme, but most important it comes with great support and constant updates. Highly recommended! Have been looking forever for a minimalist theme that truly is... minimalist. I'm a designer/artist/photographer with some coding experience. I found Svea to be a breeze to setup and eventually customize a little for my needs. The theme strikes just the right notes, a perfect blend of form and function. Svea complements my work perfectly without overwhelming it. Love it! So far I'm delighted with Northeme's Centreal Plus theme. I used it to build my first ever website and found it very straight forward and easy to use. Had virtually no trouble and the questions I did have were answered within a day. Well built theme! Offers plenty of options. We used it for a clean architecture-tours and gallery site. I have used many different themes over the years, both simple and more complex in corporate business contexts. 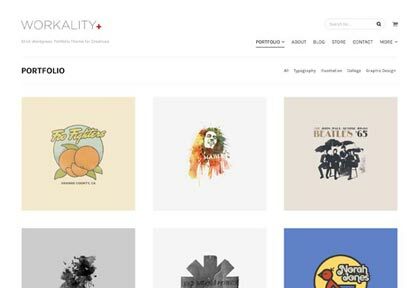 This time I was looking for a portfolio-oriented theme that focuses on creative people and businesses. I searched for a long time and evaluated several. When I stumbled on Northeme I became very attracted. After a short introductory chat dialog I bought the entire package (all themes included). I have to say that I have never seen themes with such simple and nice setting options. There is support for everything you are looking for, and it covering your needs all the time. It's development team really has been accurate with both layout, function, order and structure. This exceeded my expectations! Thanks to Mert & Co, with the hope of continued business success. Today, there were new updates to the theme Centreal (incl. bundled Slider Revolution and WP Bakery), which I am pleased to download now. Very adaptable, easy to use and works as a superb portfolio site. Clean and professional. 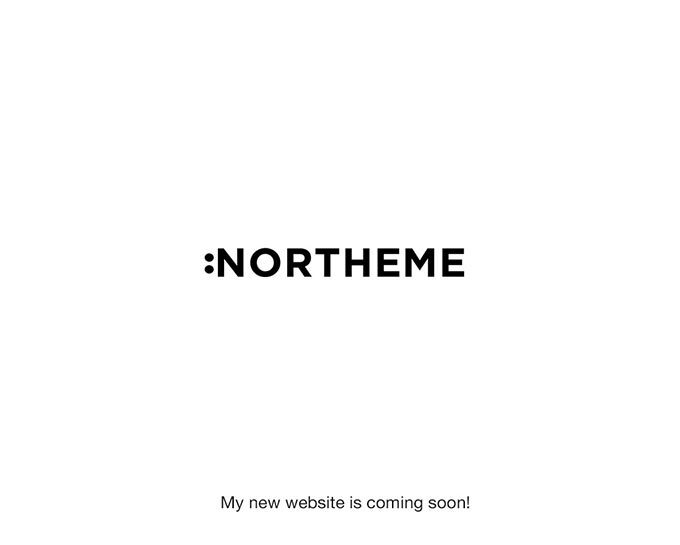 Overall it has been a breeze using the Workality theme from Northeme. Support is super responsive and helpful. Great template. I had to dig in to fully uncover the full potential of it. Thanks to the support team for answering all my questions. Great easy to use, love it. Reframe Plus is a very complete, has many options, you can have a choice of layouts with many variations. I recommend using this theme, I'm loving it! We use Reframe - a beautiful theme - perfect for our portfolio. Many Thanks. Great design and very easy to use! Great aesthetic, super interface and quick support. Stop looking for themes now! 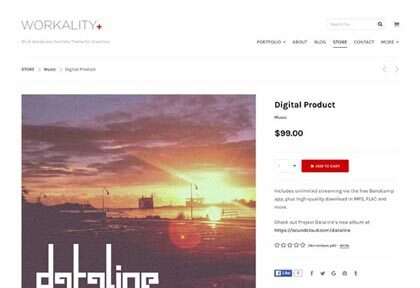 Clean, minimal and contemporary, it's the perfect theme for my photography site. Intuitive custom settings and portfolio is a real joy to use. Many thanks! Very easy to use back-end, quite well written theme! Nice combination of plugins. Great theme, what you see is what you get. Great support. thank you. 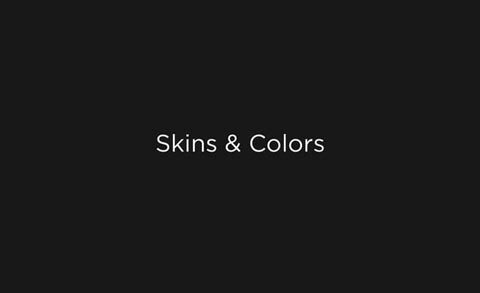 Best minimalist and clean WP portfolio theme I've ever seen. Period. I love the simplicity and elegance of this minimal theme. Quality is very good and support has been stellar. Great, multifunctional and user friendly theme. Fantastic support. My best spent money in 2016. Enjoyable WordPress interface, great customer support, gorgeous design and a pleasure to work with! Thank you! Workality Plus also has a Free Version! Check out and download the free version and upgrade to premium anytime! 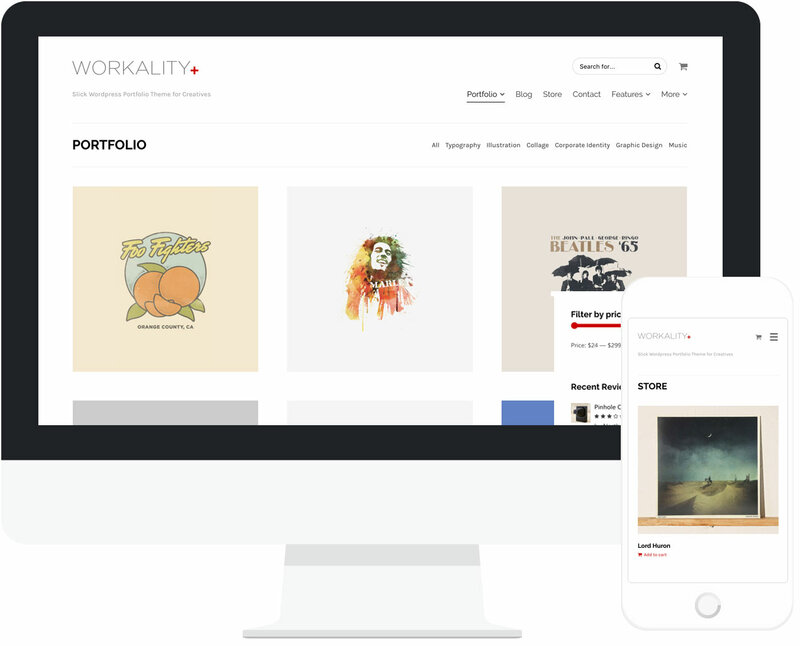 Workality Lite is a free responsive WordPress Portfolio Theme for creative people and agencies. 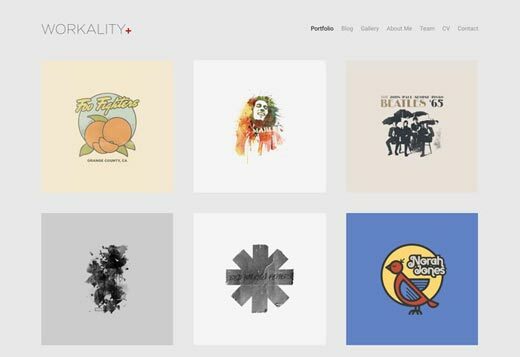 Great for building a simple portfolio website with blog and four different grid layout options. Enjoy this free product! Very adaptable, easy to use and works as a superb portfolio site. is a great theme specially now con Visual composer got better! Very clean interface and easy to work with. I love the theme. This theme and support is everything! Very good theme, look good, easy to use. I like it. Really worth to try (and buy).